and 651 people (195 women and 332 children) from Jordan via the Nasib CP. 23,549 people (7,067 women and 11,997 children) have passed via the Nasib CP from Jordan. According to consolidated information provided by UNHCR, the UN Refugee Agency, as for November 1, 2018 there are still 6,647,614 registered refugees seeking asylum in 45 countries worldwide, with 1,994,284 women and 3,390,283 children among them. 30 countries (Turkey, Lebanon, Jordan, Germany, Egypt, Iraq, Netherlands, Austria, Denmark, Greece, Switzerland, Cyprus, Belgium, Italy, Romania, Spain, Ireland, Malta, Poland, Bosnia and Herzegovina, Argentina, Luxembourg, Croatia, Slovenia, Bulgaria, Hungary, Iceland, Slovakia, Czech Republic, Latvia) confirmed the figures provided by the UNHCR, the UN Refugee Agency, on Syrian citizens in these countries. 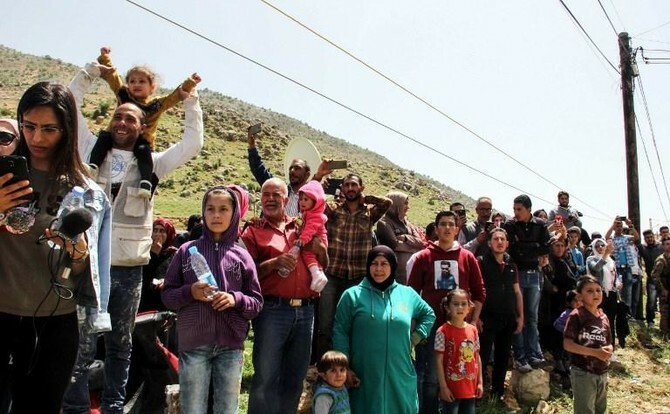 It is estimated, that 1,712,264 Syrians in nine countries expressed their desire to return back to their homeland(Lebanon – 889,031, Turkey – 297,342, Germany – 174,897, Jordan – 149,268, Iraq – 101,233, Egypt – 99,834, Denmark – 412, Brazil – 149, Austria – 68, Argentina – 30). Since September 30, 2015, in total 29,559 Syrians have returned back to their homes from abroad (83,866 women, 142,485 children). The most famous street in Paris became a blazing battleground. Here’s why.